A day-trip delight! Climb aboard the very finest in trailerable cruisers. 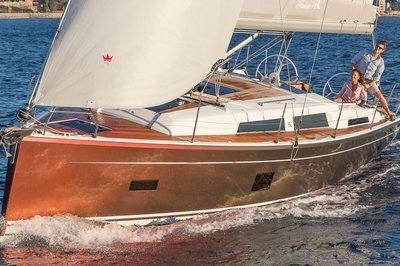 The 275SCR is a perfect blend of style and functionality. 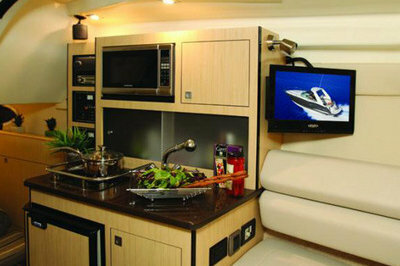 Ample storage under the sun island and helm station assure that everything finds a place. 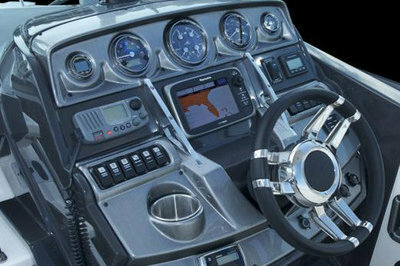 Molded in steps in the cabin door allow safe access to the bow which comes standard with a sun pad. An optional radar arch adds to the ensemble, while the optional generator allows for complete comfort and function while moored in your favorite cove. 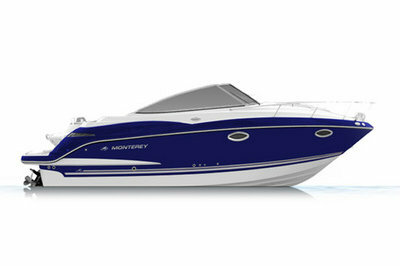 Continue reading for more information on the Monterey 275SY. Each Sport Yacht interior has soft ultra leather upholstery, solid-surface counter tops, simulated teak flooring, and much more standard. Also included in standard features is the choice of one of multiple interior options on each model, all with rich luxurious patterns and colors. We are one of the only companies in the industry to feature full fiberglass headliners standard. This eliminates fabric material that can hold smells and mildew and fall down over time. 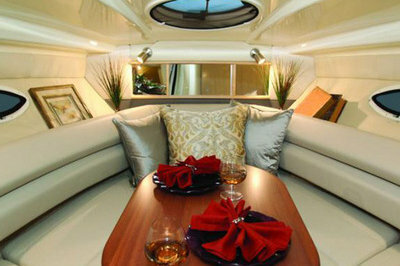 On your Monterey you have a smooth ceiling surface with vinyl accent panels.